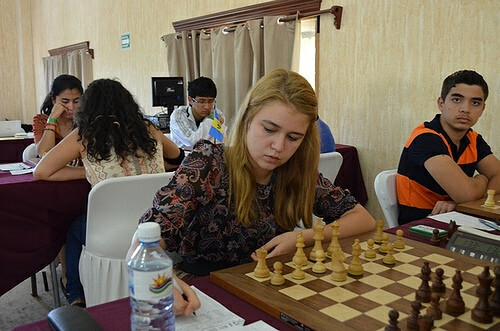 Young Scholar Agata Bykovtsev, a student and successful youth chess player whom we wrote about back in March, recently returned from the Pan American Youth Chess Championship in Oaxtepec, Mexico. 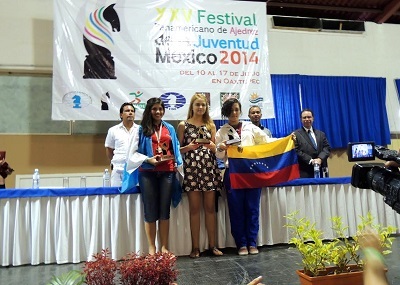 She arrived in Mexico a fantastic young player and left with international recognition—finishing in first place in the girls under-16 division, earning the title of Woman FIDE Master and earning a Woman International Master norm. FIDE—the World Chess Foundation—hosted the event in Oaxtepec, with over 640 players from 23 countries competing under three gender and age divisions. Eight of the 29 competitors from Team USA took home medals, the most out of any participating country this year. 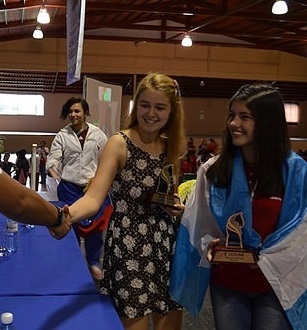 Agata has played competitive chess for the past five years, winning a bronze medal at last year’s Pan American Youth Chess Championship in Brazil and finishing ninth out of 126 players in the United Arab Emirates. Congratulations, Agata! We cannot wait to see what’s next.